Hephzibah EPC is a community church with a worldwide vision for outreach. We are under the auspices of the S.D. 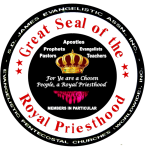 James Evangelistic Association, Incorporated and its Evangelistic Pentecostal Churches, Worldwide, an interdenominational, all-nations, full body ministry of Jesus Christ with an endtime, prophetic scope. As such, we will preach and teach the gospel of the kingdom and nurture the body, soul, and spiritual growth of members in particular of the body of Christ. We will promote maintaining the balanced life of the believer, children, and families. We will provide information and encourage members to live active, healthy lifestyles to preserve their temple. We will minister to the poor with food, clothing, and medical supplies as well as serve as a distribution site for The Apostle’s Pantry (“TAP Center”) to aid people in the time of great disasters. We will train personnel for street and prison ministry, rehabilitative centers, juvenile detention facilities, and mentoring of our youth. We will also educate members on business and financial principles for economic empowerment in the new global economy.